Handling Tips: 40°F. Keep cool and dry. 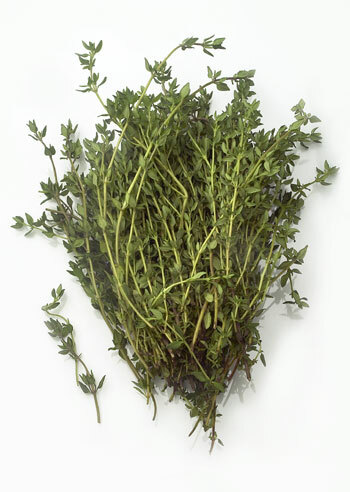 General Information: Fresh thyme works well in dishes that will simmer all day. Soups, stews, tomato sauces, meats, and stuffing all benefit from thyme's clove flavor. Lemon thyme is superb with chicken and fish. Thyme is a must in cajun cuisine.